Here’s an expanded write-up of my part of the presentation on ANCIL at the recent Association of Learning Developers in Higher Education conference, one of whose key themes was ‘Who owns learning development?’. 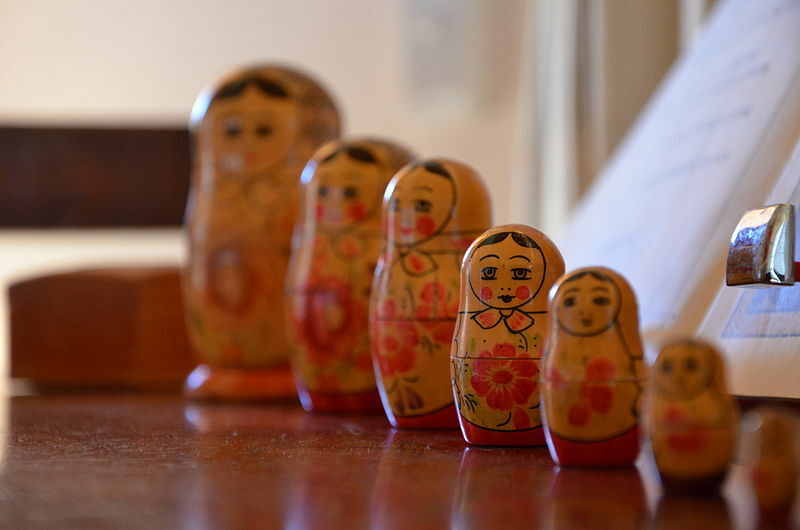 In response to this theme Jane, Maria and I talked about moving from theory to practice in the development of a shared academic skills curriculum that embraces information literacy, digital literacies, learning development and graduate identites. They spoke about the practical work they’re doing at LSE; I got to play with the concepts! When Jane and I carried out the ANCIL research in 2011 one of the first things we did was to map out the landscape of information literacy and how we saw it overlapping with related areas. Our representation situates information literacy as the central concept, overlapping with areas of specific information application (new learning literacies), practices involving a specific type of information (digital literacies), and information in use in a particular context or community (academic and media literacies). The graphic was designed to show that we perceive information literacy as interwoven with all these areas – but it also suggests visually that information literacy is a grand narrative: the overarching, ‘master’ concept that relates and makes meaningful all the others. It’s fair to say that both Jane and I perceived this landscape through the lens of information literacy, as that’s the conceptual matrix in which our approach developed. However, we soon began to see an equal degree of complexity in other areas, in particular recognising the strength of the claim that learning development constitutes a legitimate, epistemologically autonomous, and empirically grounded field of inquiry (see this wonderful article by Lillis and Scott). In other words, learning development could equally validly claim to occupy the central, relational role in our diagram, as a lens through which to see and connect the other areas – including digital and information literacies. Similarly, digital literacy has gained a good deal of both recognition and traction in the UK higher education arena, where information literacy has notably failed to gain either. As a result, what Jane and I refer to as ‘information literacy’ is now often seen as being subsumed within the larger concept of ‘digital literacy’, in direct contrast to the ANCIL perception imaged above. In other words, digital literacy could equally validly claim to occupy the central, relational role in our diagram, as a lens through which to see and connect the other areas – including academic and information literacies. Over the past decade or so, in each of the areas of learning development, information literacy, and digital literacy there has been a radical shift in thinking away from a simplistic, functional and normative approach and towards recognising and honouring the complexity of learning outside the curriculum and the agency of those doing the learning. So here’s a thought: maybe we’re at the point now that it doesn’t actually matter which doll is the biggest, the outward, most visible one. Because of the way our thinking in all these areas has developed, maybe we’ve reached a point where although we’re coming from different specialties and start points, we’re all converging on the same goal: to provide opportunities for our students to construct and sensemake the academic landscape for themselves. Jane’s and my attempt to map the place of information literacy was the start of a growing recognition on our part of how nuanced each of these specialist areas is, how shifting and negotiated this academic information landscape is, and likewise how fluid are our own practitioner identities as ‘belonging’ to one or more of these areas. 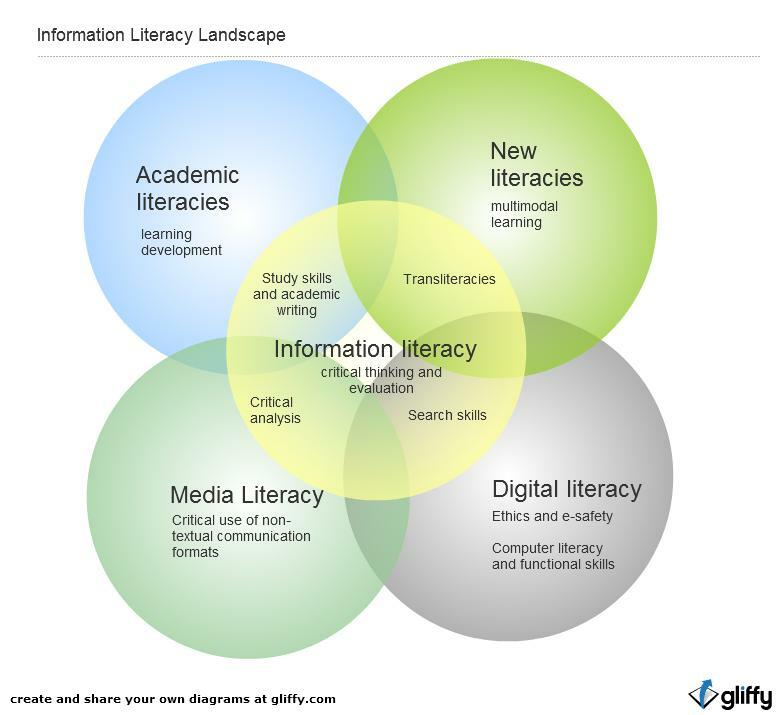 As a teaching librarian, I move across and between the arenas of academic literacies, critical information use, digital literacy and graduate identity. I can’t separate them, even if I thought there were any mileage in trying. And I can situate my practice and my professional identity as comfortably in the context and discourse of Beetham and Sharpe’s digital literacy framework, Hinchliffe and Jolly’s VIPER model of graduate identity and employability, or Lillis and Scott’s epistemology of academic literacies, as I can within Bruce’s six frames of information literacy. It’s not that I ‘wear different hats’ in each different sphere: I do the same thing in the same relationship with students, aiming always at the same goal – to help them to realise a critical and reflective relationship with the information that shapes, filters and mediates our lived experience.